The first National Archery Day takes place this year. It’s a day for bowhunters to celebrate. I first picked up a bow five years ago. I had hunted with shotguns and rifles, but bowhunting always seemed impossible to me. Then for my birthday my husband showed up with a pink camouflage Matthew’s Craze. I was hooked! Shooting my bow quickly became my happy place. I find it incredibly therapeutic. If you’re having a bad day or just need to do some soul searching, flinging arrows works like a charm. I never harvested an animal with my Craze. Mostly because I fell in love with the Hoyt Charger Vicxen during my first hunting season. 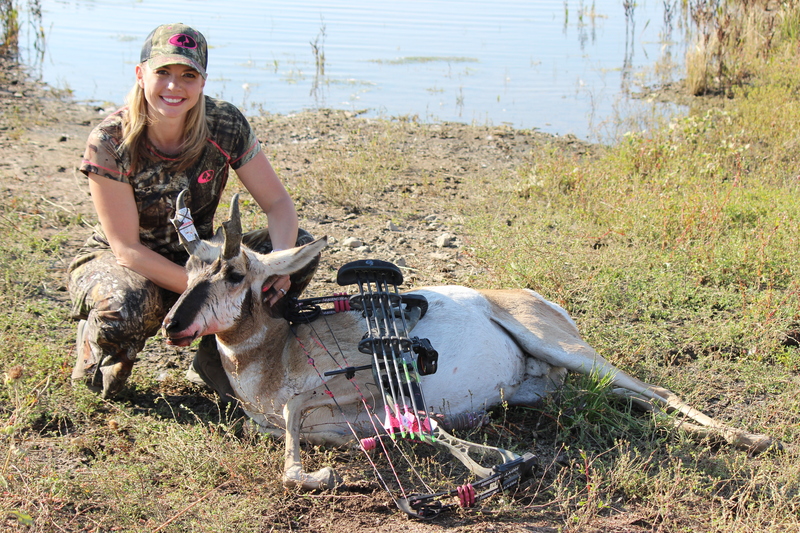 It was four years from the time I picked up a bow to the time I harvested my first animal, but it was well worth the wait. Last season is one of the most memorable of my life. From the Sawtooth Mountains to the desert southwest of Twin Falls, Idaho I pursued animals in some of the most rugged terrain I’ve ever hunted. 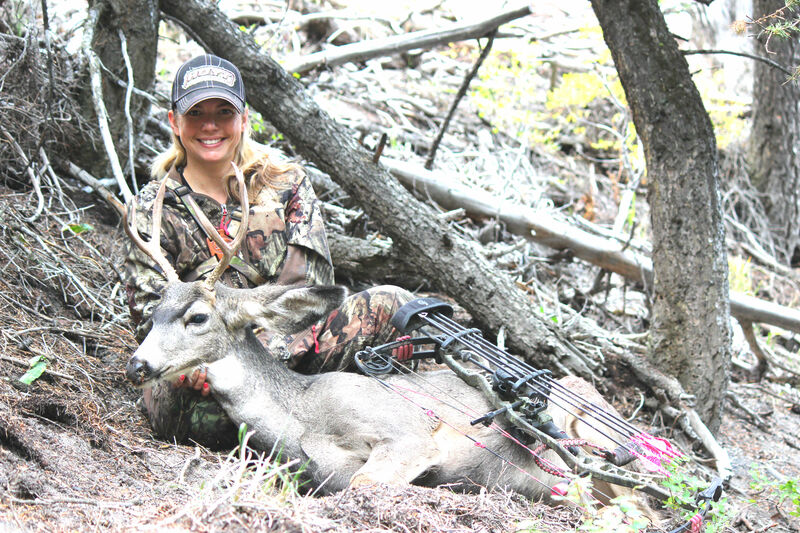 It was hot and it was physically demanding, but when the dust settled I had managed to harvest a mule deer buck and an antelope buck with my bow. There’s a different feeling that comes with bowhunting. I feel more connected to the land and mother nature. There is something quite primal about stalking an animal with a bow, knowing that one wrong move could blow your cover. Its taught me to be more patient, a virtue I had never possessed, and no matter what the outcome each day is an adventure. 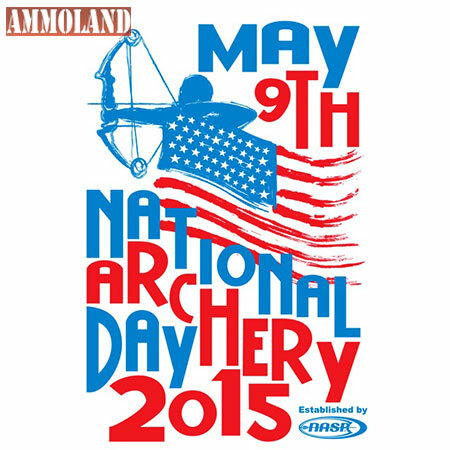 National Archery Day is May 9, 2015. It was established by the National Archery in School Program (NASP) this past March. It coincides with the 12th annual National Archery in the Schools Program’s (NASP) national tournament, which will be May 7-9 at the Kentucky Fair and Exposition Center in Louisville, Kentucky. Moving forward, each year it will be the second Saturday in May. According to Ammoland Shooting Sports News, NASP did this to celebrate the millions of student archer graduates and current and future participants in it’s in-school archery program. The latest statistics from the Archery Trade Association show archery participation in the U.S. has nearly tripled from about 7 million to 19 million archers in just over a decade. Each year 2.5 million students participate in NASP. That’s more than Little League Baseball. 12,399 student archers have registered for this years national tournament. In addition to trophies, plaques, medals and banners, NASP will award 10 terrific archers, grades 4-12th, a total of $105,000 in post-secondary scholarships.